Bridgeview medical practice has won the 2013 Genaral Practice of the year for ACT and New South Wales. We are a family orientated Award winning general practice (2013 RACGP PRACTICE OF THE YEAR for ACT and NSW.) committed to provide optimum quality health care. Bridgeview offers tailor made individualised health service delivery to suit the each patient's specific needs and with a strong focus on preventive therapy. Our team of highly professional individuals from administrative and clinical backgrounds comprising of a dedicated team of medical receptionists, general practice nurses, primary care physicians andspecialist clinicians. Bridgeview Medical Practice has been awarded as "The practice of the year in 2013 in NSW & ACT" by the Royal Australian College of General Practitioners. 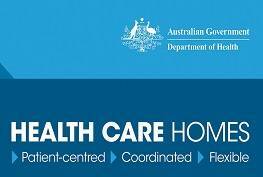 Health Care Homes is an Australian Government-funded initiative. Our practice has been selected as one of about 200 Health Care Homes to take part in this two-year program that runs until December 2019.